Revel in the fact that only the best wacks are honored with front page glory. And now that Wacktrap members, and the world alike, see your featured wacks here, they'll be able to peruse all of your literary genius in one spot. This is your time to shine. In terms of forsaking your privacy, we wouldn't think of it. Your privacy is as valued by us as it is by you. 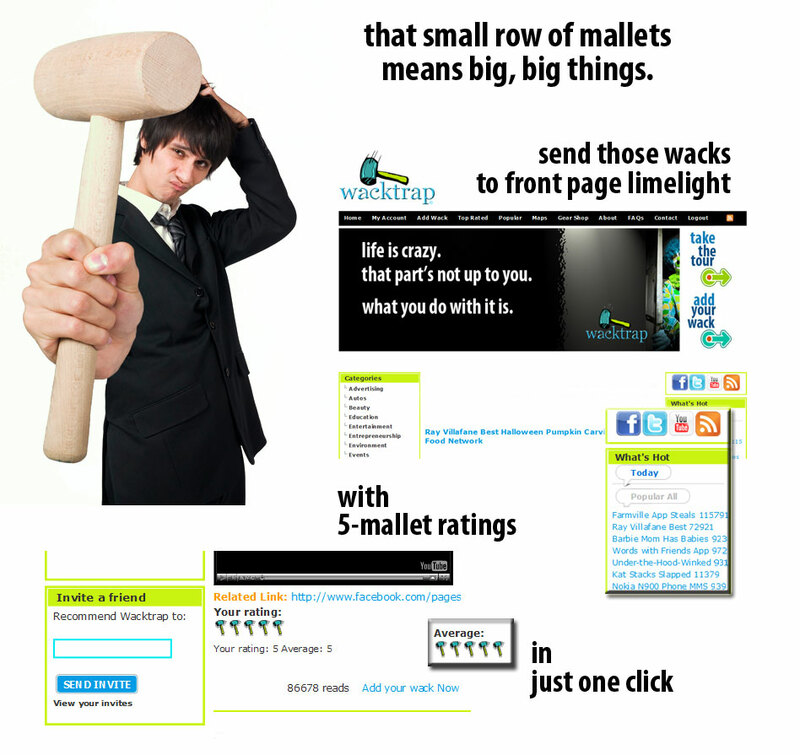 So while you bask in the limelight, you'll be represented by the Wacktrap username you've chosen upon registration.